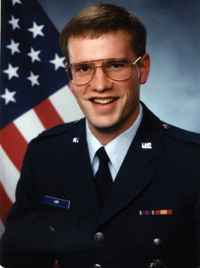 David Lien is a former Air Force officer, worldwide adventurer, and accomplished mountaineer. 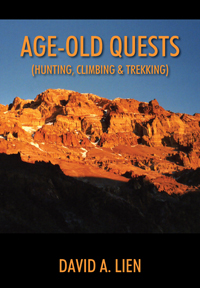 His climb and travels have taken him to 30 countries and onto the highest points in all 50 U.S. states, the fifty-four highest peaks in Colorado (the 14ers), and six of the Seven Summits (the highest points on each continent). 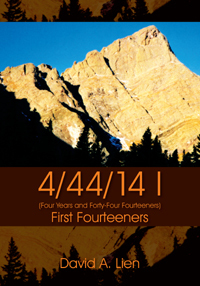 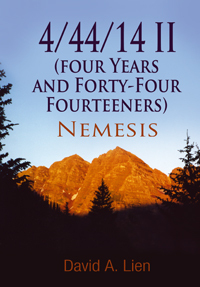 David’s first book, 4/44/14 I (Four Years and Forty-Four Fourteeners): First Fourteeners, was published by Outskirts Press during 2010. 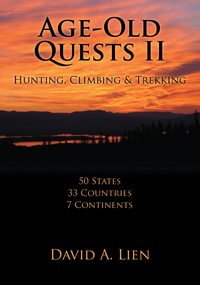 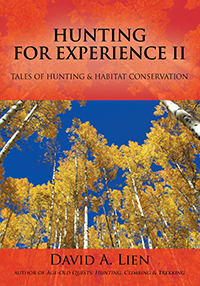 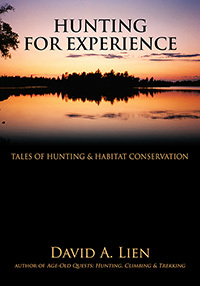 David has also contributed articles, essays, letters, and photos to numerous periodicals, books, and newspapers, including: Everest: Surviving The Death Zone, The Firegrate Review, Trail & Timberline, Whitetales, Fur-Fish-Game, The Backcountry Journal, The Boundary Waters Journal, NewWest, Summit Daily News, The Aspen Times, Vail Daily, Rocky Mountain News, Rocky Mountain Chronicle, The Pueblo Chieftain, The Denver Post, Colorado Springs Independent, The Durango Telegraph, Desert News, Casper Star Tribune, Anchorage Daily News, Outdoor News, Duluth News Tribune.